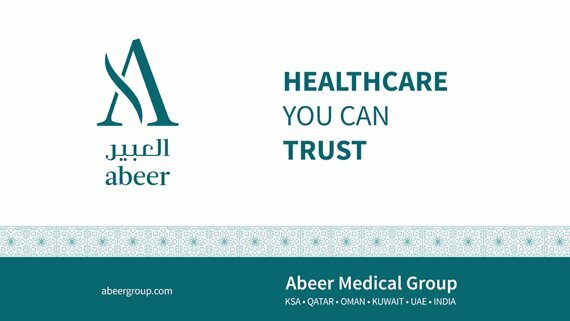 Abeer Medical Group has transformed the healthcare domain in Saudi Arabia, Qatar, UAE, Oman, Kuwait & India. The group at present owns and manages 20 healthcare facilities that includes hospitals and high end medical centers and is becoming one of the most successful healthcare providers in the GCC. With a team of best doctors, world class medical professionals, nursing and hospital management staff, Abeer’s leadership extends to all aspects of the healthcare spectrum. قامت مجموعة العبير الصحية بتحويل مجال الرعاية الصحية في كل من المملكة العربية السعودية, قطر, الإمارات العربية المتحدة, عمان و الهند. تمتلك و تدير 20 منشأة صحية تشمل المستشفيات والمراكز الطبية الراقية, و أصبحت واحدة من أنجح مقدمي خدمة الرعاية الصحية في دول مجلس التعاون الخليجي.و بفضل فريق من أفضل الأطباء وأخصائيين طبين من الطراز العالمي ومن أفضل موظفي إدارة التمريض والممرضات العبير تتشرف بخدمتكم في جميع جوانب الرعاية الصحية. Abeer hospital at Ruwi, Muscat is a multi-speciality hospital featuring highly proficient and well experienced team of doctors. The hospital offers outpatient, inpatient, day-care and emergency care in a broad range of specialities. High-quality patient care is the key speciality of Abeer Hospital. Aesthetically appealing infrastructure & tranquillity ambiance enhance the healthcare experience in a patient friendly manner. Located at the heart of Ruwi, Abeer hospital featured with state-of-the-art technology and advanced facilities has become synonymous with compassionate and quality medical care. شكراً لزيارتكم لنا. بأقصى درجات السرور أرحب بكم لتشعروا بالعناية الودية من العبير. من وجهة نظري لا ينبغي أبداً فهم النمو الفعلي لصناعة الرعاية الصحية من حيث كثرة مؤسسات الرعاية الصحية بل يجب أن تكون على أساس زيادة الوعي حول سبل تعزيز…. "No complaints at all, because this clinic is the best for me and my family"
"A great place, great staff, and clean facility"
"My answer to all your questions will be positive because I’m happy with Abeer’s services"
"I visit the clinic with my family and we are very comfortable with Abeer’s doctors"
"I follow up with the dental department at Abeer and like the service"
"I visited the clinic for Laboratory Investigations, I liked the clinic I will come for consultations too"
Get latest news and events, special offers and more!